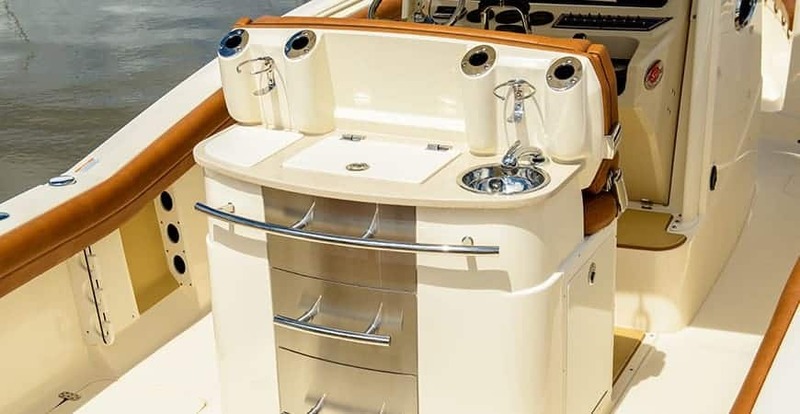 Is it the innovative wave gate that folds all the way down to the deck floor for unbelievable transom access, or the electronic locking Plexiglas window at the helm, or maybe the optional grill and wet bar area behind the deluxe leaning post that caught your attention? How about all of it and then some. The 275 LXF is a head-turner, loaded with innovations and ready for any adventure on the water. This model is prepped and ready to go with limitless style. 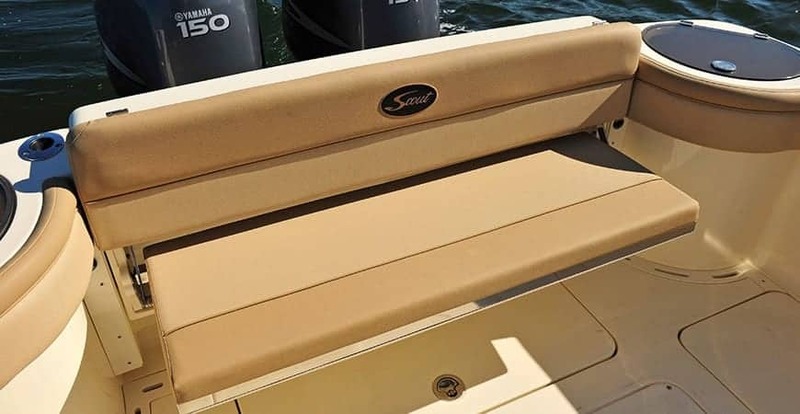 Upgraded fiberglass leaning post with bait prep station, sink, S.S. tackle drawers, & deluxe folding helm chairs. Optional grill also available. 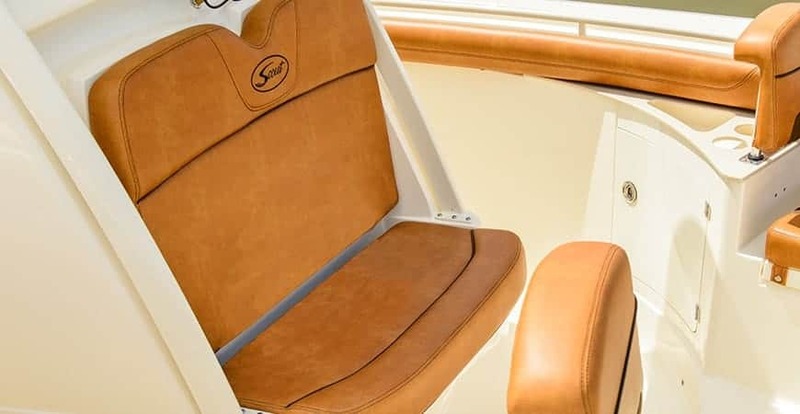 Innovative wave gate that folds all the way down to the deck floor for unbelievable transom access. Let the wind blow through your hair and stretch your legs as you lounge comfortably on the forward seating plush cushions with backrests, or lounge seat in front of the console.